Current information about news and events on the Island of South Padre. Read our most recent news and events blog entries or checkout everything we post about to those Visiting South Padre Island keep informed. Treat the family to a weekend of endless activities for all ages as we come together to celebrate the grand migration of the Monarch butterflies and fundraise for conservation and education efforts. The 2nd Annual HalloWings Event, starts Friday, October 26th and goes to Sunday, October 28th, 2018. The Boo Bash movie night and the Winged Gala start the event off Friday evening, with free crafts and a movie for the kids and beer and wine tasting for the adults with live entertainment. Purchase Gala tickets here. Activities continue throughout the day on Saturday, ranging from guided tours, art, film showings, hand feeding butterflies, good food and much more. This event will end Sunday with a splash, as you join pirates for breakfast and take a cruise on the Black Dragon Pirate Ship, Arrr! Visit the official HalloWings event page, here, for more information or to purchase Winged Gala tickets. 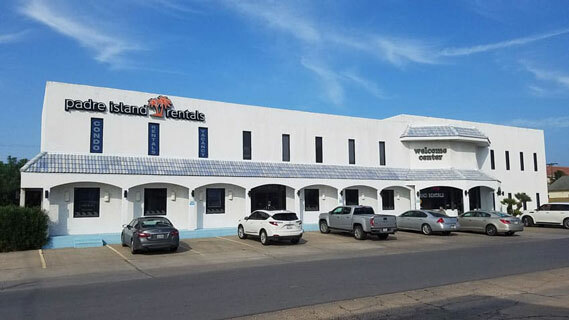 Are you looking for a comfortable place to stay with all the comforts of home while you visit South Padre Island? Padre Island Rentals has got you covered offering a variety of fantastic condos and island homes with one or more of the following features: breathtaking ocean views of the Gulf of Mexico, private direct ocean access to soft sandy beach, beachfront swimming pool(s) and spa, tennis courts, BBQ’s and stellar sunset views over the Laguna Madre Bay. We’re sure to have a unit that fits your family’s needs perfectly! Take a look at our available units here. Master Sand sculptors Walter McDonald, aka Amazin Walter, and Lucinda Wierenga, aka Sandy Feet, are South Padre Island residents and founders of Sandcastle Days 31 years ago. 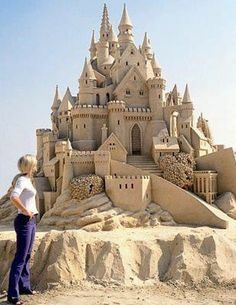 They started Sand Castle Days to demonstrate the magical sculpting qualities of South Padre Island sand and the critical importance of protecting our beautiful coastal shores. Over the years this event has grown from a local celebration to qualifying event for the World Championships of Sand Sculpting where 30,000+ fans come to watch the sand come to life. Admission is Free, a great family-friendly event, with live music, games, vendors, great food and drinks! Click the following link for more event details and updates visit the Sandcastle Days Website. Have you ever wanted to learn how to create your own sand sculptures? If you answered Yes, You will not want to miss out on the Free Sand Sculpture Workshops offered on Sunday, October 8th, 10:00 am – 12:00 pm, all you need to do is show up! Here’s a link to more information on the free workshops. UTRGV is hosting a Winter Seminar Series every Saturday until February 27th. Admission is free with an impressive schedule full of exciting presentations on a variety of current research topics by UTRGV College of Sciences faculty and graduate students. The seminars will take place at the Coastal Studies Lab. See below information for the address. The seminars are open to the public with limited space. Registration by email is required to attend. Email: coastal@utrgv.edu to register. Please include your first and last name, phone number, and the date of the seminar you would like to attend. Put Seminar in the subject line. Admission is FREE and refreshments will be served!